Dave and Kylie spent their younger years growing up in the small town of Taihape, south of Taupo. In Taihape, Dave served his plumbing apprenticeship in 1986 and met his gorgeous wife-to-be! After spending two years travelling Europe together, they settled in Taupo in 1992. From there, Dave and Kylie founded Merwood Plumbing & Drainage Limited in 1998. 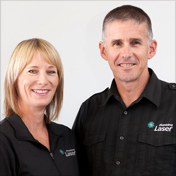 Busy years followed with marriage and children and in June 2008 their excellent reputation led Laser to invite them to become Laser Plumbing Taupo. The business keeps them both constantly busy with new challenges and an ever evolving business model. Taking on a full time manager for Laser Plumbing Taupo has given them more time to work on the business rather than in it. It was the best business decision, giving them better work life balance. Dave is still hands-on with the practical side of the business, and along with the constant paper work battle, they have both been working side by side for the last 15 years successfully shuffling paper. Keeping fit, movie nights, drinking wine and socialising with friends and family is a must! 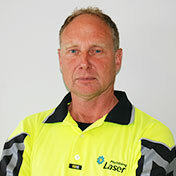 Adam joined Laser Plumbing in June 2012 and is involved heavily with running all aspects of the business. He always looks forward to when Dave and Kylie are away so he can take care of the company on his own, which someday he hopes to do himself. 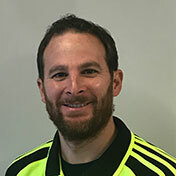 He came to us from a local construction company where he was the quantity surveyor and with several years experience within the trade industry. With this experience, he has a great understanding of how important it is to have projects completed on time and to the client's satisfaction. He can turn his hand to most things and you can even find him out on site with the team digging holes, holding a ladder or laying some pipes. Adam is passionate about his career and family, success in both these aspects of his life are highly important to him. Adam is a family man with 3 young boys and a wife that keeps him on his toes. You will either find him hanging out with family and friends, motocross riding, exercising, working on his house or doing the odd bit of hunting here and there. 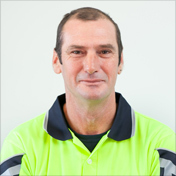 Chris joined us in 2010 and has over 20 years experience in the plumbing industry. With his vast knowledge and experience, we have found that high end homes and commercial work are his forte. As our Project Manager Chris oversees all new builds and ensures they are run in an effective and efficient way, without compromising service, quality or safety. He works alongside the builders and clients on a regular basis and always builds a great relationship, making sure the home owners' needs are taken care of. There isn’t a problem he can’t solve and it has been known on the odd occasion that he will redo pipework if it's out of level by 2mm. When he is not working, you will find him either with a fly rod in his hand on the Tongariro River or wearing his hiking boots on his way up Mount Tongariro. John joined us in 2004 and also completed his apprenticeship with us. 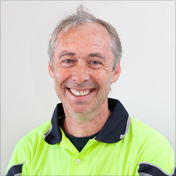 He is our go-to guy when it comes to any work involving drainage or driving the digger. Congratulations to Johnny who has worked with us for ten years running! To celebrate we threw him out of a plane, drank champagne and celebrated. What better thing to do on a hot summer Friday afternoon! When Johnny is not on the tools you will find him with a dart in his hand aiming for the bulls eye or practising with his team. Gary joined us in July 2012 and brought with him not only 13 years plumbing experience but also a wealth of knowledge in the heating industry. We could immediately tell from his friendly attitude and work ethics that he would be suited best to maintenance and servicing our customers in a quick and professional manner. Gary has a passion for hydronic heating, and alongside Dave, he can deal with just about anything. 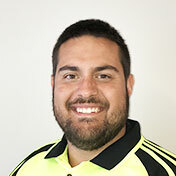 When he is not working he enjoys fishing, especially on the lake, being around family and friends, rugby and rowing. Wayne joined our maintenance team in September 2017 and moved to Taupo from Napier for a lifestyle change so he could get out on his boat more. With 12+ years experience Wayne loves the challenges he is often faced in the industry and always does it with a smile on his face! He is a keen fisherman and loves getting out on his boat. Sean is employed as one of our maintenance plumbers and started with us in May 2017. 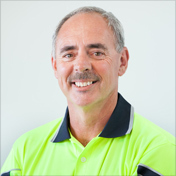 He has over 17 years plumbing experience and is an expert in Geothermal and pumps. When he is not working he is busy working on projects around his home. 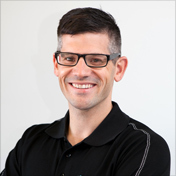 Cade joined us in February 2018 and like Wayne he moved to Taupo from Auckland for a lifestyle change. He originates from South Africa where he had his own plumbing business for 4 years before relocating to NZ in 2016. 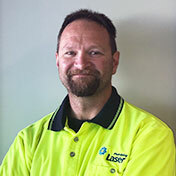 He was involved in Commercial plumbing while living in Auckland and is now part of our new build plumbing team. He loves hunting and fishing and like most of the other boys in our team has been bitten by the trout fishing bug! Rob is another Aucklander sick of the hussle and bustle ready to raise his young family in our very own 'Natures Playground'. He has 5 years plumbing experience and has joined our new build team. He loves all things sports and getting out and about with his family. 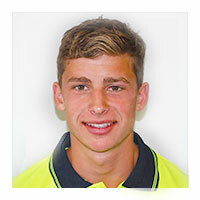 Riley started with us as a Gateway student through Taupo-nui-a-tia College working 1 day a week for a period of 10 weeks. After just 5 weeks we found out that he was very proactive, practical and eager to learn so we offered him an apprenticeship in Oct 2015. Riley progressed very well and began his first block course in Jan 2016. Riley was a part of the first IV rugby team, he loves to play squash and is a keen hunter. Glen is our adult apprentice and started with us in April 2017. He gives a helping hand to our senior plumbers on new builds and assists Gary with under floor heating. Glen is jack of all trades having experience on a building site as a Hammerhand or Roofer and is also a qualified Screenprinter by trade. He is another one of our staff members who loves to get out in his boat and go fishing. 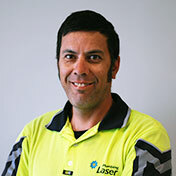 Brad started with Laser Plumbing in 2016 as a Plumbers Labourer. He decided to follow in his fathers footsteps and began his apprenticeship in April 2017. Brad has been busy assisting on New Builds, underfloor heating and the odd maintenance job. 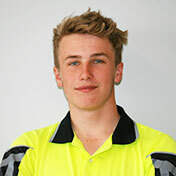 He is part of the Mount Maunganui Surf Life Saving program and also enjoys his mountain bike riding. 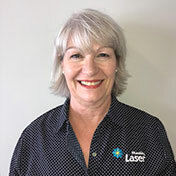 Moana joined Laser Plumbing Taupo in 2011 on a part time basis helping Kylie with general administration. As her hours increased, she started to take on all aspects of accounting and payroll which allowed Kylie to step back from the business for a well deserved break. 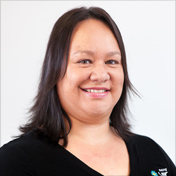 Moana has over 18 years experience as an office manager/bookkeeper and began her working life as a payroll clerk. She enjoys the pace and challenge of such a varied role and sets the bar when it comes to multi tasking. She is even able to cope with all of us! Ann joined our team in September 2017 and lends a much needed helping hand to Moana with all facets of administration. Ann has been employed to help man the office and phones every day from 2pm - 5pm. Although she is only here for a short period of time she manages to get through the mountain of tasks assigned and is more than ready to schedule your plumbing job. She loves reading, swimming, walking and spending time with her friends and family.